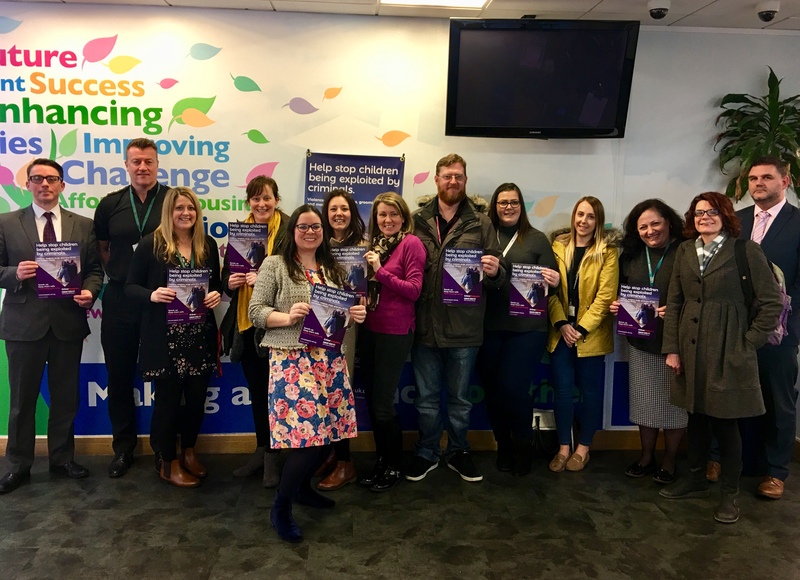 The group is made up of representatives from Crimestoppers, as well as the Newport Serious Organised Crime Stakeholder Group who helped to launch the campaign today – including Gwent Police, Newport Council, Gwent Drug and Alcohol Service, Newport City Homes and Barnados. The charity Crimestoppers today launched a new campaign in Newport to help target and prevent serious organised crime carried out by criminal gangs. Crimestoppers’ digital campaign will highlight the impact that these gangs have on our businesses, communities, and the most vulnerable people within them – particularly young people. Types of activities that gangs are involved in include class A drug dealing, child criminal exploitation, use of weapons and violence and human trafficking. Other indicators of serious organised crime could be money laundering or people living beyond their means from the proceeds of crime. Crimestoppers is asking Newport residents to be alert to the activities of organised crime groups and report any information on serious organised crime through Crimestoppers, 100% anonymously. Last summer, Crimestoppers saw a 200% increase in reports from Newport and Gwent residents, after we ran a similar campaign highlighting exploitation through drug dealing gangs. Now we’re supporting Gwent Police’s Operation Jigsaw, and hope that even more people will speak up safely. Crimestoppers will also be promoting its youth service Fearless with teenagers in schools and youth groups, to empower them to speak up about crime and stay safe. The project, which is being launched at a partnership event today, is part of wider programme with Gwent Police, Newport Council and other charities, to help prevent serious organised crime. “This campaign is key to supporting the ongoing work of Operation Jigsaw within Gwent Police, to tackle the most serious and organised crime in our communities. “Criminals involved in serious organised crime are a daily threat to our communities. The associated issues such as violence and intimidation, large scale drug supply and fraud, to name but a few, have enormous consequences, creating pain and suffering in our communities – which, far too often, people don’t see as part of the bigger picture of serious organised crime. If you know about or suspect those involved in serious and organised crime, contact Crimestoppers anonymously on 0800 555 111 or through the anonymous online form at crimestoppers-uk.org. To find out more about the Crimestoppers campaign click here.